A Work in Progress: All Aboard! Polar Express Train Ride. What is that? Well, it's exactly what the name implies: a train ride based on the book The Polar Express, by Chris Van Allsburg. I'd say that I was only doing this for my children, but that wouldn't totally be accurate. Something with this much hype had to be good for me too. At least I hoped so. Select cities all over America, and one in Canada, utilize trains (available from their railroad museums or railways) and transform them into replicas from the book -- complete with dancing waiters and hot chocolate. Passengers even get to wear their pajamas. While I’d heard that this was an extraordinary event, one my kids couldn’t miss, what I wasn’t prepared for was the mad dash --the absolute insane intensity-- that every parent in my city dove into on October first at 9 in the morning. It was like getting tickets for the concert of a lifetime. Thirty minutes, three phones and one computer later, we got through. Yes, that was three phones. I had one cell phone, the other hand was on the keyboard trying to navigate the slammed website, and my husband had the landline and his cell phone. I’m happy to say we got tickets. But I’m equally as happy to see how one simple book created so much excitement over trains and Christmas. While it helped that the movie was a success, furthering to promote the book, what’s even more fabulous is that a children's book is at the crux of the whole Polarpalooza. When promotion includes children's reading, trains and family time, instead of television and video games, I’d say it’s an event worth talking about. And that it includes chocolate of some sort is a major bonus. Now, for the real question: Do I really dare to wear pajamas on the train along with my kids? My boys would lose their minds. I am glad I didn't know about such things so I don't feel guilty about not doing it. Have you heard of Dinosaur Train? Blending two boy obsessions in one PBS show. Brilliant. Nancy, thanks for sharing. I can't believe my city is one of the few hosting it! Don't feel guilty. I'm hoping more cities get in on the action as more hear about it. It sells out within hours (last year, within minutes). 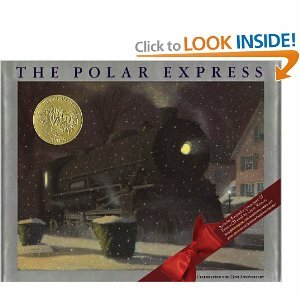 Oooh, the Polar Express - I'm going to have to check and see if it's anywhere close to us! My boys love that book! First time here - love your voice! Thanks! So glad you came by.